What do you reckon will happen to the Internet of Things ten years from now? If you think about billions of devices or more wearable tech, around 83 percent of experts believe that the Internet of things will have beneficial effects on the everyday lives of the public by 2025. By that we expect more wearables in the next decade to come. This is likely to happen as 82 percent of wearable technology users in America today said it enhanced their lives one way or another. To foresee the future, let's take a look at the beautiful history of wearable technology. In 1286, the first ever wearable eye glasses was invented to help emperor Nero better see his gladiator fights. Had he known that the Google glass will be the aftermath of the first wearable glasses 729 years later, he'll surely want to live in today's world. What can Nero expect, aside from the famous Google glass? 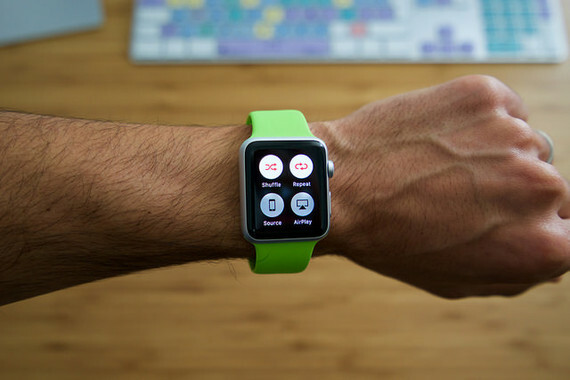 Let's take a look at some of the best wearable techs today and their benefits. There are probably hundreds of Kickstarter campaigns aimed at improving the personal safety, one of which is the Wearsafe, a Kickstarter project that's on a mission to save lives. connect with the press of a wearable button, keeping you safer wherever you are and more secure in whatever you're doing. Wearsafe can be activated using either a supported smartwatch or the Wearsafe Tag - a discrete, wearable device which pairs seamlessly with your smartphone from up to 165 feet away. Once activated, Wearsafe continuously broadcasts critical information (including location, speed of travel and audio collected from your smartphone) so your network can instantly provide life-saving information to first responders. It is compatible with Pebble watch and will soon be compatible with other wearables such as Android wear, Apple watch, and Garmin. Co-founders David Benoit and Phil Giancarlo promote #10millionlives, which corresponds to the number of people they want to save in 10 years. To them, saving lives goes beyond those which would have been lost, but also those which might otherwise be irreparably altered by a bad experience. Fitbit Charge HR and Jawbone UP2 are two of the leading fitness trackers in 2015. Fitbit comes with an OLED screen that shows off your daily stats as well as the caller ID from your smartphone. The Jawbone also does strong activity tagging, sleep monitoring, and smart alarm. The 33 percent of respondents who said they would use a fitness monitor would like this, especially if it provides information to a health care provider. Aside from armbands, there's also an earphone that can provide real-time heart monitoring and track metabolic rate. A 'smarty ring' can alert you with incoming and outgoing calls, SMS and emails. The technology can also help you locate your phone. It sounds new but in case you didn't know, smart ring has been around since the Qing Dynasty era. It came first before the calculator watch. The ring, which features an abacus, is the smartest ring at that time. With the many possible great uses for the wearable technology, one can only imagine the endless possibilities of its benefits.